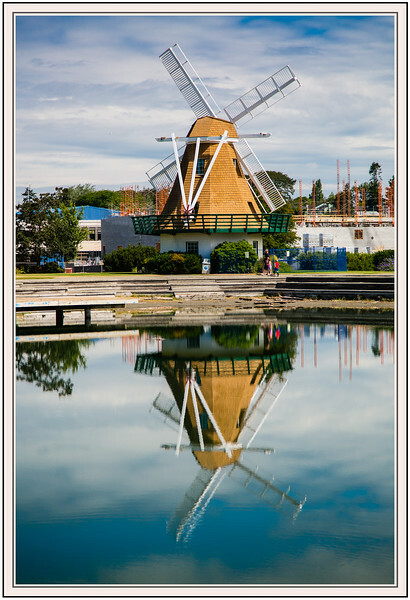 Lovely windmill scene and capture with the reflection. You captured a terrific reflection of this windmill. Superbly composed shot !! Love that reflection !! That is lovely and the reflection is awesome. Great shot! I sure missed this, driving through Oak Harbor! Nicely reflected.